The offshore race is the highlight of the Rolex Giraglia. It is so intense there is no room for even the slightest error. To win, crews must sail with precision, make the right on-the-spot decisions and demonstrate outstanding teamwork. 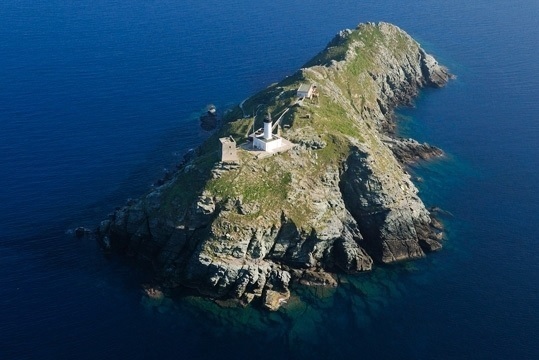 The Giraglia Rock has become a symbol in the sailing world on a par with the Fastnet rock, Organ Pipes and Stromboli. An impressive exposed ridge of reef, the Giraglia is barely one nautical mile from the Corsican coast, the rock being 500m long, 50m wide and rising to only 60m above sea level. The event chenged its names (Giraglia Rolex Cup became Rolex Giraglia) and the year 2018 had some surprises in stor. Lauched in 1953 in the wake of the Seconde Wolrd War, 65 years later this competition continues to appeal to 2500 professionals and amateur crew members from all over Europe and elsewhere. Many more than in those early years. Created with the purpose of re-establishing good relations between Italy and France, today it is a meeting of prestigious boats, with a fleet that is becoming increasingly international and involving ultra-competitive sailing boats. The attraction of what is now called the Rolex Giraglia is its diversity: varied and demanding races, boats and crews from all over the world and, away from the racing, time to down tools in an ideal setting: Saint-Tropez. The Rolex Giraglia enjoys an excellent reputation, and it is considered as one of the most all-encompassing and demanding sailing competition in the Med. The race combines an overnight race from San Remo in Italy to Saint-Tropez, a series of inshore races at Saint-Tropez (three days) and finally the “Big One”. This is the Giraglia proper, a 241 nm offshore race from Saint-Tropez to Genoa via the island after which it is named, a rocky reef off the northern-most point of Corsica.